Whether you are interested in minimizing prototyping time during component development, optimizing current processes for production, or both…our engineering professionals can deliver the solutions it takes to meet your goals. We’ve established Technical Centers around the globe to help you and your team overcome obstacles, utilizing the best of our processes to make your operations more efficient. 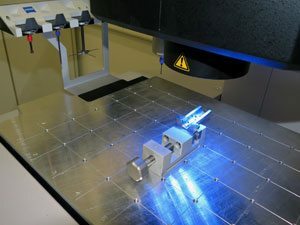 Let us help you uncover the best engineered solution to meet your tooling and component needs, or to analyze your machine shaping and finishing processes. Tooling: Tooling is an important element of any subtractive machining process. At Extrude Hone we provide our clients with solutions that meet or exceed established surface finishing specifications. We will partner with you to ensure that the tooling you select is the best match for your specific process, whether it be for component shaping or finishing. Prototyping: Our engineers are experienced at working with our clients throughout the prototyping process to ensure that the most effective solution is achieved. The expertise and resources of our global Test Centers are utilized by clients across a broad spectrum of industries to help develop prototypes for their components. We will continue honing in on the optimum solution for you through the prototype testing process before ramping up to small batch production. 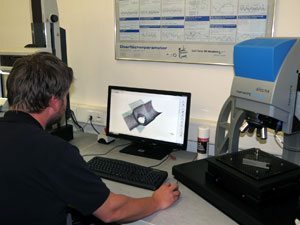 Process Analysis: We have a team of experienced professionals dedicated to improving the machining processes for component shaping and finishing. We have helped numerous clients worldwide to establish new machining processes as well as to implement refinements to existing machining processes. Minimizing machining time while improving component quality is our mission.